Constructed in 1881, the Masons have occupied the building since 1916. 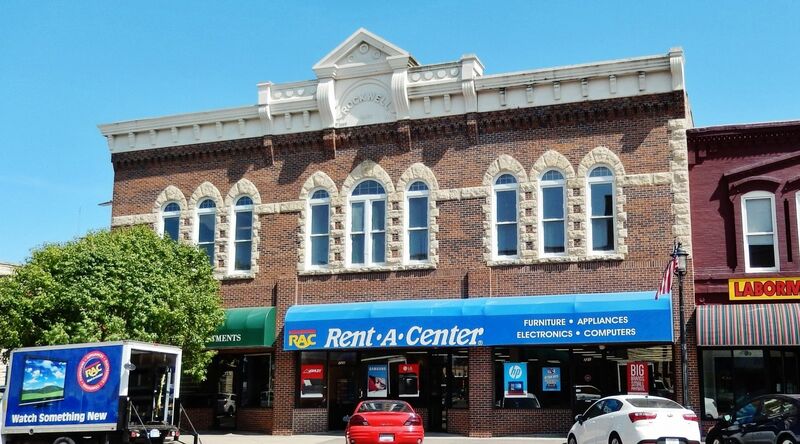 The main floor has housed a variety of stores including Ziegler Hardware, Waters Hardware, and department or clothing stores under the names Townsend's, Hampton's, Calhoun's, and William's. The mat in the doorway still bears the name "Townsend’s" and the pressed tin ceiling can still he seen inside. 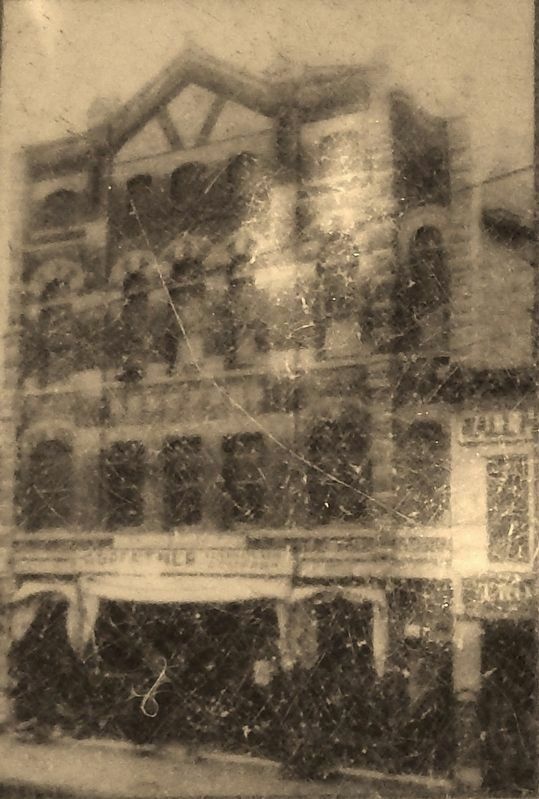 One of the oldest buildings in downtown Johnson City, it appears in an 1870 photo as Hall and Porter City Drugstore. 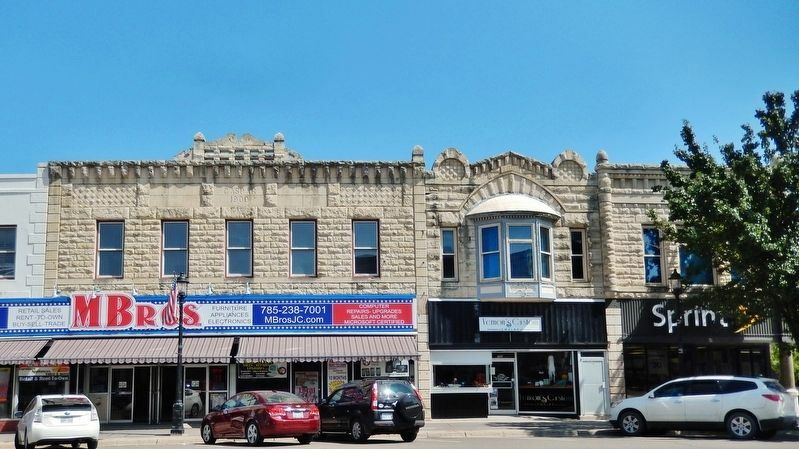 The building had a flat stone façade until the current brick (maintaining the same upper windows and roofline) replaced it sometime in the middle of the century. The original stone is still visible on the alley side of the building. 1913 on the same site and in the same basic design. The exterior is of light terra cotta. This building was built in 1900, apparently for John Caspar, a shoe cobbler (see cornice line at facade). In the mid-1950's Woolworth's took over this building, later extending north to 709 N. Washington. Bertrand Rockwell, a Civil War veteran, began his dry goods/grocery business in Junction City in 1865. Rockwell built the present building in 1889 after fire destroyed the previous building at this location. 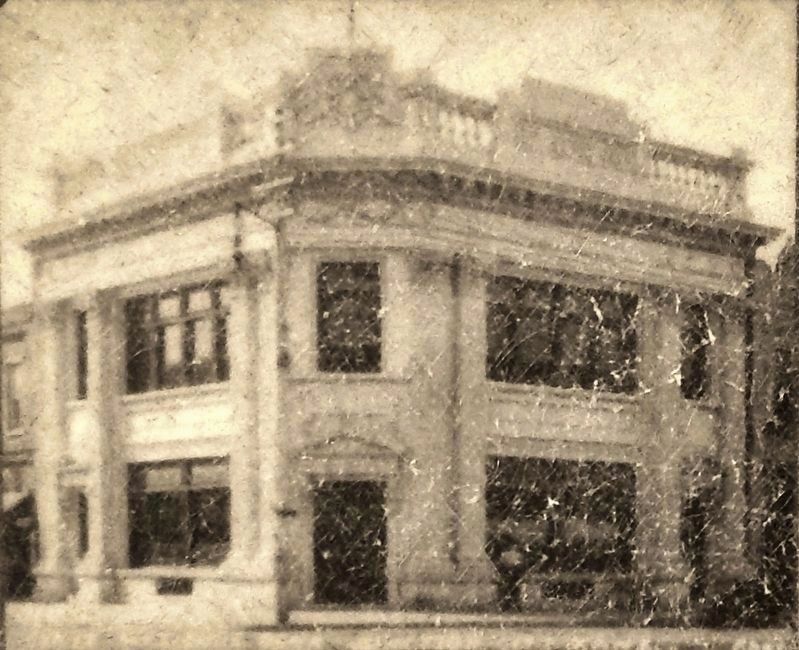 The Rockwell business continued until the late 1920s. In 1986, the original facade was restored. In the north limestone wall are decorative holes known as "woodpeckering." Location. 39° 1.814′ N, 96° 49.763′ W. Marker is in Junction City, Kansas, in Geary County. Marker is at the intersection of North Washington Street (Alternate U.S. 77) and East 8th Street, on the right when traveling north on North Washington Street. Touch for map. Marker is located along the sidewalk at the southeast corner of the intersection, facing south. Marker is at or near this postal address: 725 North Washington Street, Junction City KS 66441, United States of America. Touch for directions. 800 Block Washington Street (here, next to this marker); 7th Street East & West of Washington (about 300 feet away, measured in a direct line); 600 Block Washington Street (about 300 feet away); George Smith (about 400 feet away); Civil War Memorial Arch (approx. 0.2 miles away); State of Kansas Vietnam Veterans Memorial (approx. 0.2 miles away); Purple Heart Memorial (approx. 0.2 miles away); 1st Infantry Division Memorial (approx. 0.2 miles away). 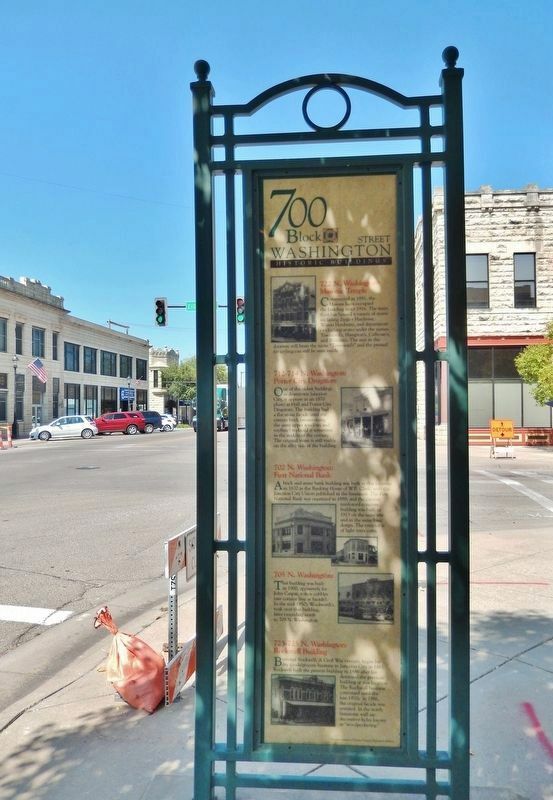 Touch for a list and map of all markers in Junction City. More. Search the internet for 700 Block Washington Street. Credits. This page was last revised on March 30, 2019. This page originally submitted on March 29, 2019, by Cosmos Mariner of Cape Canaveral, Florida. This page has been viewed 52 times since then. Photos: 1. submitted on March 29, 2019, by Cosmos Mariner of Cape Canaveral, Florida. 2, 3, 4, 5, 6. submitted on March 30, 2019, by Cosmos Mariner of Cape Canaveral, Florida.